A special collaboration with Paul’s Leather Co., crafter of premium leather Bibles. 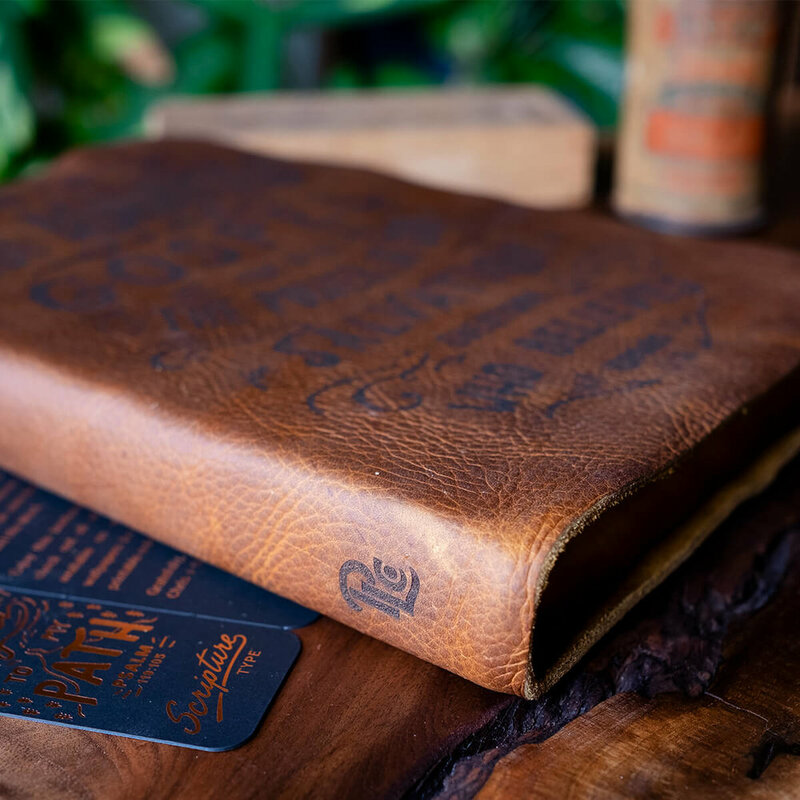 PLCO’s custom Bibles are created using full grain leather because of its durability and individuality. They are built to last for years to come. Each Bible can be customized with any Scripture Type design and is crafted with quality that reaches the ends of the earth - every Bible purchase supports missionaries to unreached people groups. Not all leather is created equal. These Bibles are made using full grain leather, which is exceptionally resilient due to the tightly bound fibers that compose it. We love the stories told by every scar, branding, and bug bite found in the cowhide, which make each piece completely unique. Choose from a variety of Bible translation and style options such as ESV Study Bible, NIV Thinline Bible, KJV Journaling Bible, and more.